The CNA Salary in Ohio is mostly determined by three factors: work location, organization and level of expertise. Certified nursing assistants work in a variety of settings, including hospitals, clinics, assisted living facilities, home heath care agencies and as self employed business owners. A certified nursing assistant is a health care professional who takes care of a patient’s daily needs. A CNA can be found in a variety of health care facilities such as hospitals, clinics, assisted living facilities, nursing homes, and adult day care centers. Some CNAs are also hired by private patients to provide care in the patient’s home. A CNA works in tandem with nurses and doctors to ensure the health and wellbeing of the sick and elderly. They have daily contact with their charges and doctors and nurses depend on them to assess and report any changes in the patient’s condition. According to Indeed.com, the average salary for a CNA in the United States, comes to around $12.02 an hour. This means they earn around $23,726 a year. In Ohio, the average salary for a CNA is $10.91 an hour or $24,988 a year. To work as a CNA in Ohio, all you need is a GED or high school diploma and CNA training. However, to really get a good job as a CNA in Ohio, you are going to have to put in some work and take the time to achieve experience in the field. Experience and expertise are rewarded with higher pay and good benefits in the health care sector in Ohio. Most employers in the health care sector of Ohio prefer to hire seasoned CNAs as they want to avoid having to spend on further training, and also because they want to avoid a high attrition rate. 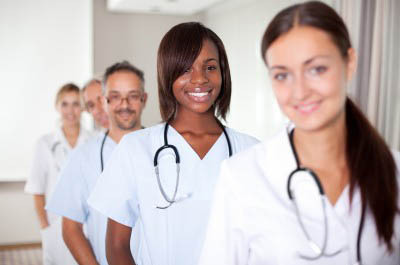 In their experience, many CNAs after getting some training in their facility prefer to leave for higher paying jobs. Many such facilities are also amendable to paying a higher rate for an experienced CNA. There are some employer’s that do prefer to hire new nursing assistants, such as nursing homes, but the salaries for new CNAs are rather basic. The starting salary of a new worker is only around $18,650 a year. In order to reach a higher position, and a higher pay grade, it’s important for a CNA in Ohio to increase their value by seeking out training where they can and gaining work experience. Eventually, when you get more experience, you will be able to negotiate for higher pay and better benefits. To get be eligible to be employed in the state one will need to meet the requirements and pass the registry exams. CNA classes in Ohio are available to teach you the proper skills training and help prepare you for the job and testing. Schools programs in Ohio typically cover at least 120 hours of classroom and skills practice.